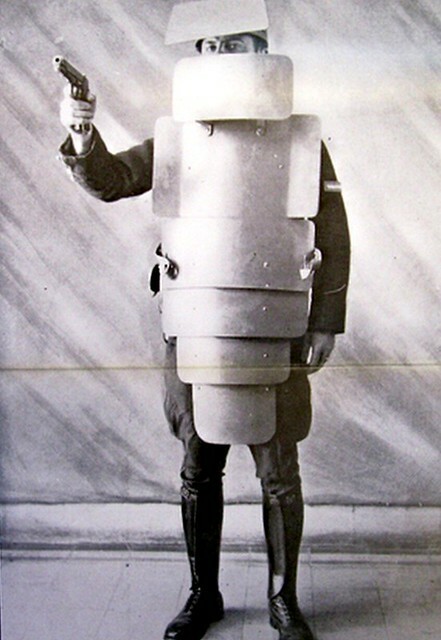 Before Iron Man, there was... Articulated Plate Man! NOW will you aim for his arms or legs????? For when you have to dismount your killdozer! Tenth level tin foil hat ....achieved. Well, domo arigato, Mr. Roboto ... Domo.